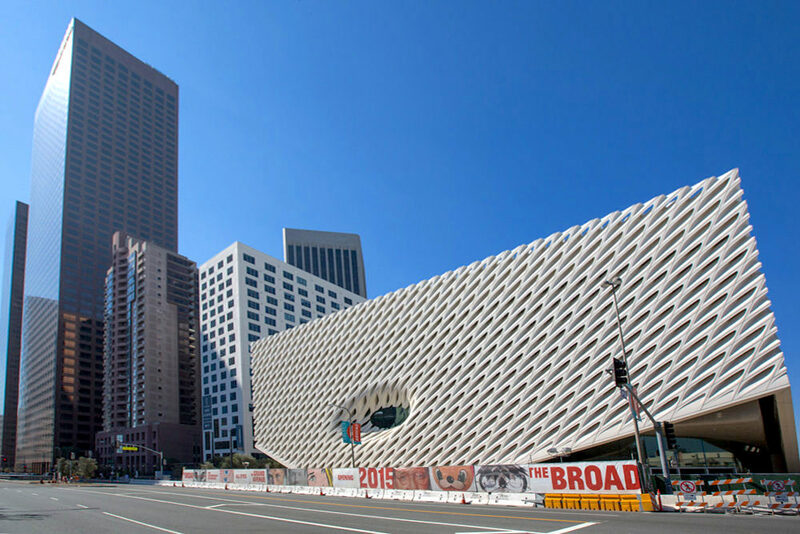 Last summer we explored architectural designs and plans for The Broad – See codylee.co/the-broad. As the project nears completion, we had an exclusive sneak peek on February 15 in advance of the museum’s September 20 opening. It has been a great few weeks – indeed, a great year – for new museum buildings. It gets even better this weekend when the Harvard Art Museums will open a new building. 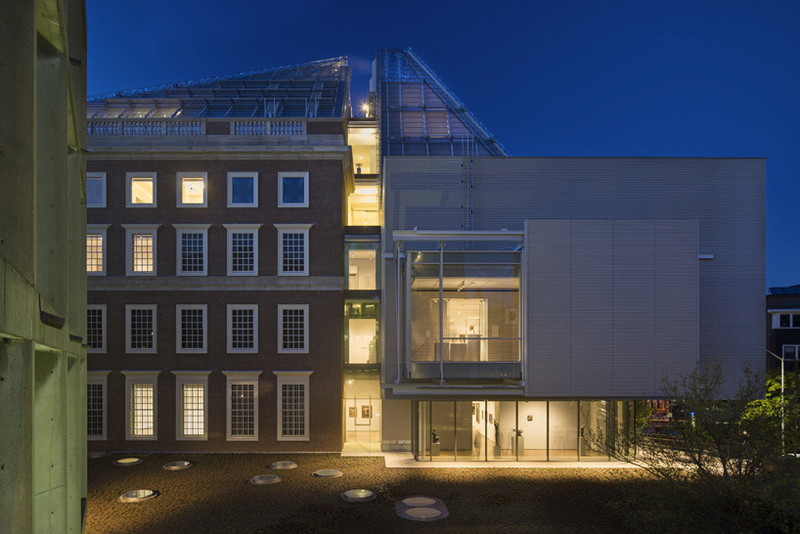 The incredible structure, designed by Renzo Piano, unites Harvard’s three separate museums under a vast glass roof. 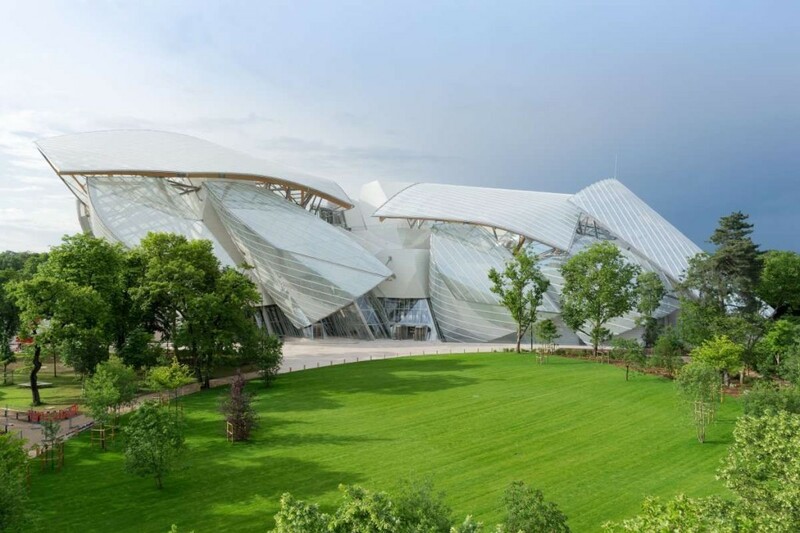 On October 27, the new museum building for the Fondation Louis Vuitton will open in the Bois de Boulogne in Paris. It was designed by the Los Angeles-based starchitect Frank Gehry with the patronage of the French businessman Bernard Arnault. 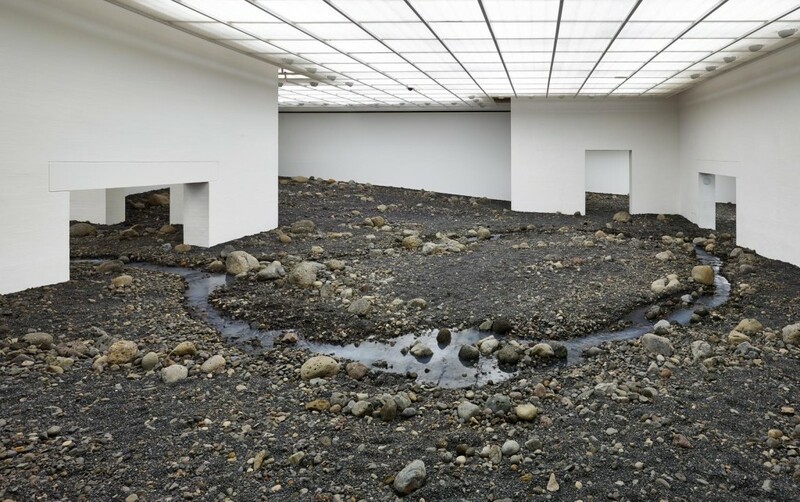 In Denmark’s Louisiana Museum of Modern Art, Ólafur Elíasson has transformed the museum’s South Wing into a rocky river landscape with a site-specific installation combining nature, architecture, and art. 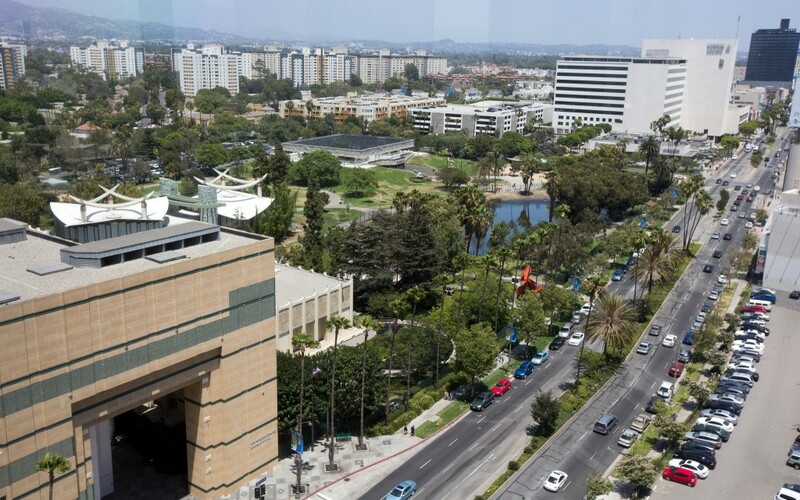 LACMA campus and the La Brea Tar Pits alongside Wilshire Boulevard. Photograph by Monica Almeida, The New York Times. We recently explored LACMA’s new campus plans – codylee.co/lacma. 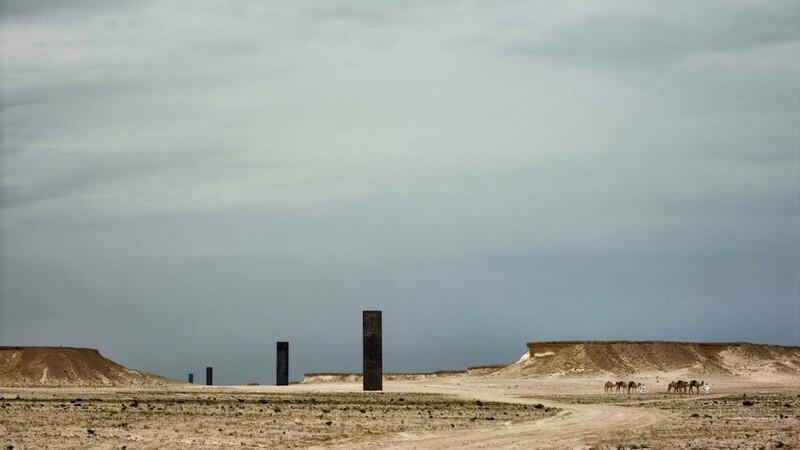 In short, architect Peter Zumthor has designed a massive new pavilion to replace a dysfunctional set of older buildings. 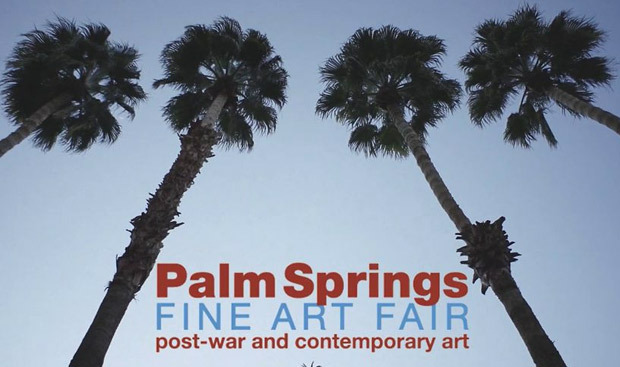 However, officials from the Page Museum identified that Zumthor’s new building could encroach upon and damage the adjacent La Brea Tar Pits, which are an active paleontological research site with important deposits of Ice Age-era fossils. Today, revised designs show Zumthor’s amoeba-like building sparing the tar pits and instead spreading across Wilshire Boulevard. This is insane bold. 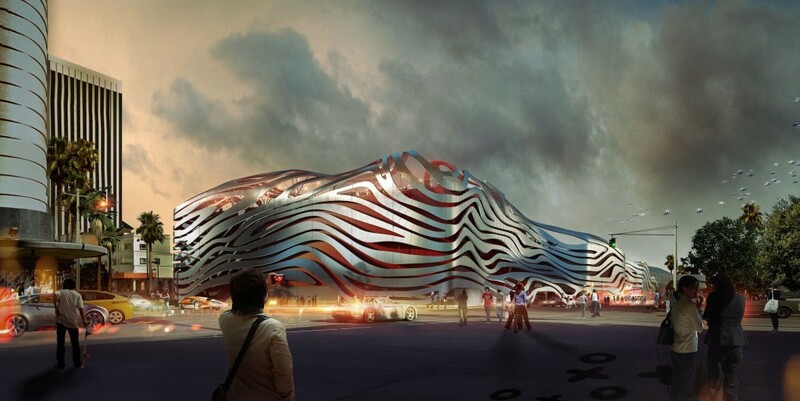 The Petersen Automotive Museum first opened in 1994 in a former department store building at the corner of Wilshire and Fairfax, across the street from LACMA and the forthcoming Academy Museum. It is one of the largest automotive museums in the world with a collection of more than 300 vehicles and other objects relating to the history of automobiles. Last summer, the Petersen announced a capital project to redesign its building to mark its 20th anniversary in 2014.